El software de CAD 3D de diseño mecánico Inventor® e Inventor® Professional incluye opciones de modelado de forma libre, directo y paramétrico, herramientas de automatización del diseño y herramientas de simulación y visualización avanzadas. Please make sure that you are installing the appropriate version of Autodesk Inventor software for your operating system. Inventor 2017 is only supported on 64-bit operating systems and cannot be installed on a 32-bit system. Full local install of Microsoft® Excel 2010, 2013 or 2016 for iFeatures, iParts, iAssemblies, thread related commands, clearance/threaded hole creation, Global BOM, Parts Lists, Revision Tables, spreadsheet-driven designs and Studio animation of Positional Representations. Excel Starter®, Online Office 365® and OpenOffice® are not supported. Autodesk Inventor and Autodesk Vault must both be the same language on a given computer. English versions of these applications will run on any language operating system. Other language versions of these applications will run on operating systems of that same language. 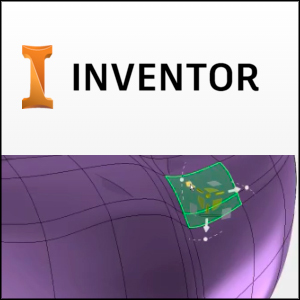 Autodesk Inventor 2017 is optimized to take advantage of the SSE2 extended instruction sets supported on Pentium 4, AMD Athlon 64, and AMD Opteron processors. Inventor 2017 will not install on computers that do not support SSE2. Several utilities are available on the Internet that report CPUID including supported instructions sets. Autodesk recommends settings which allow Microsoft Windows to manage virtual memory as needed. There should always be at least twice as much free hard disk space as system memory (RAM). DVD-ROM drive is not required if installing from USB or software download. The multimedia learning components of the Inventor Help system, such as the UI Video Tour, Command Reference, and Show Me animations, require Adobe Flash Player 10. If it is not already installed, you can download it from the Adobe website.